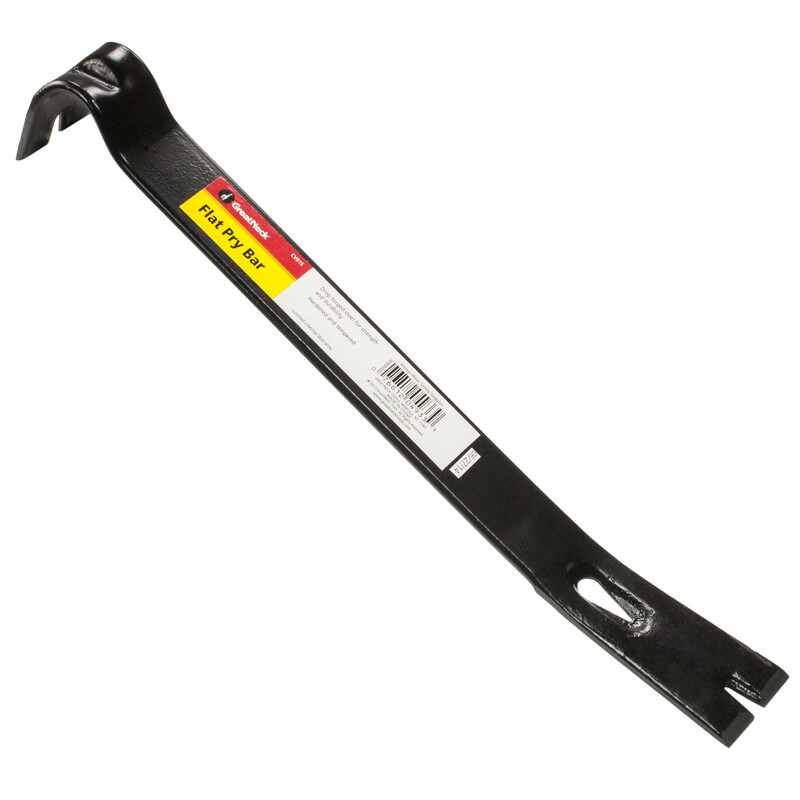 15 inch overall length pry bar made of hardened and tempered drop forged steel for strength and durability. Often used in demolition or help in closing gaps in wood applications prior to nailing. bar has (3) nail grooves built in for the best leverage possible during use.